It's the show that the people in your fantasy football league DON'T want you to listen to. This is Fantasy Football Almost Daily. FFAD is the mid-week counterpart to Fantasy Football Weekly, the world's longest running fantasy sports radio show (since 1994). Paul Charchian (a fantasy sports Hall of Famer), Christian Peterson, Mat Harrison and Brian Johnson bring you weekly waiver wire targets on Tuesday, the PANIC ROOM game show on Wednesday and a daily fantasy sports breakdown on Friday. With a combined five decades in the fantasy sports industry, the FFAD crew knows and distributes the info you need to dominate your league. Fantasy Football Almost Daily: Subscribe to our new feed! The guys go oer the week 5 slate. Please go to fanball.com, click news... then subscribe to the new feed if necessary. Thanks! Charch and Mat go over the Week 5 waiver wire options! 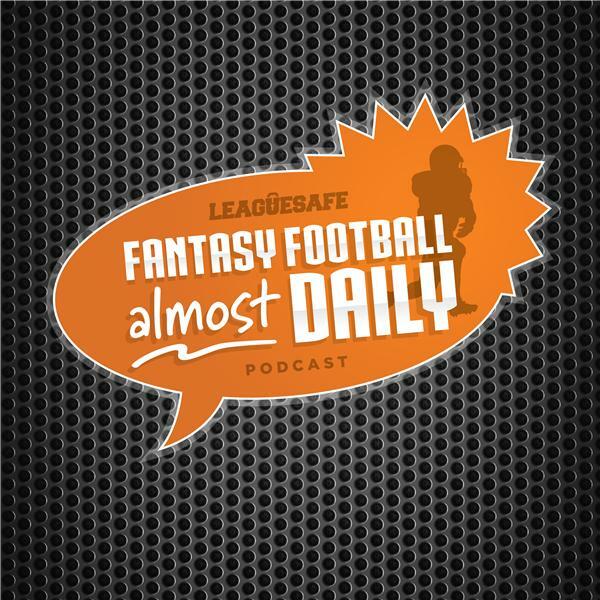 Charch and Fish go over the week 4 waiver wire! Minneapolis Ace is back to go over the Sunday slate with Mat and Brian!